If you’re one of those who have been more mindful about our environment and man’s consumption ways in the past year, sharpen your environmentally-conscious attitude with our list of fab apps. Being just a little more environmentally aware than usual can be beneficial, in both the individual and societal spheres. After all, the saying “One small step by man, one giant leap for mankind” truly rings loud and clear for all the feisty and good-hearted eco-advocates around (and whom just generally wants everyone to be more open to thinking about sustainable lifestyles for the future, don’t they?). An energy tracker – right from the heart of your smartphone. Go energy-curious from any place that you set your foot on from now on. 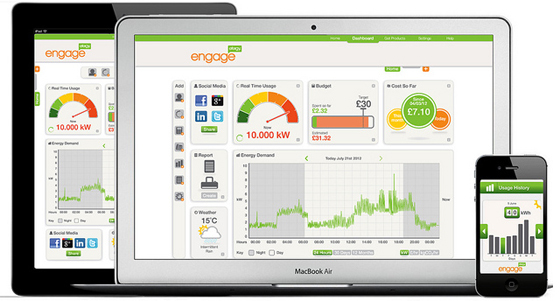 Whether it be your home, office, or your go-to chill-out coffee place, the Engage app allows one to instantly get information about the energy consumption of appliances, for example. The app adopts a real-time feature for tracking, as well as the uber-cool essential Monthly Budget feature, which keeps track of your energy ‘expenses’ and account for your consumption goals. Not only is having product knowledge as easy as whipping out one’s smartphone in a split second, but having, specifically, environmentally-conscious knowledge in these ‘globally crowded’ times, can be easily incorporated into one’s daily life toolkit. 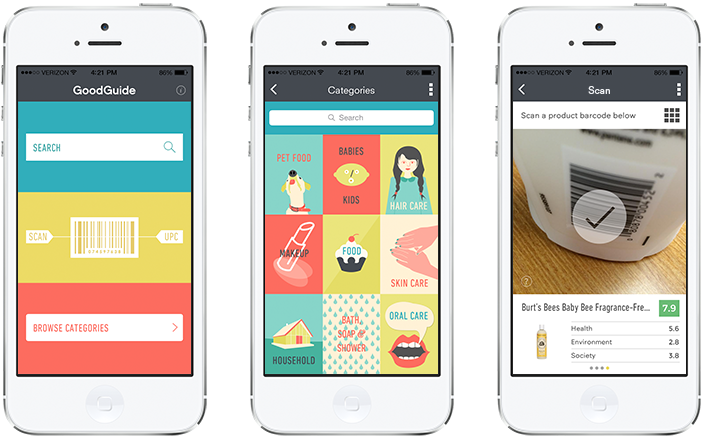 The next time you go shopping, opt for products that are, as stated in the GoodGuide’s promo description: “safe, healthy, green, and socially responsible.” One can either manually type out and search for the items in the app’s more than 200,000-strong product database, or give a go with the built-in barcode scanner. Most cleverly, GoodGuide’s search function allows users to narrow their searches in an even more socially conscious way, by filtering their searches to products which are animal testing-free, energy efficient, among other preferred parameters. This app cultivates a simple but wholly earth-friendly habit, of minimising one’s mobile phone battery usage. 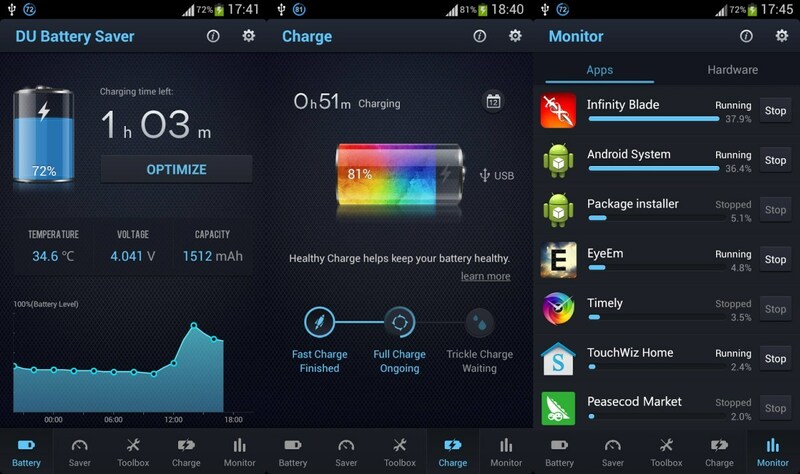 DU Battery Saver can help to analyse the ways to conserve your battery’s juices in everyday functions, identifying the culpable apps or mobile phone settings for example, that sap your battery’s energy, and the world’s resources at large. Consistently pushing out waves of ‘green’ tips and information, Rippl is able to generate ‘greeny’ content and reminders according to each individualistic user’s routine and habits. Tips generated are realistic and easy to carry out, and the app lets users keep track of their progress, as well as show the bigger picture of their personal and accumulated impact on the environment at large. Trick out your homes pronto! 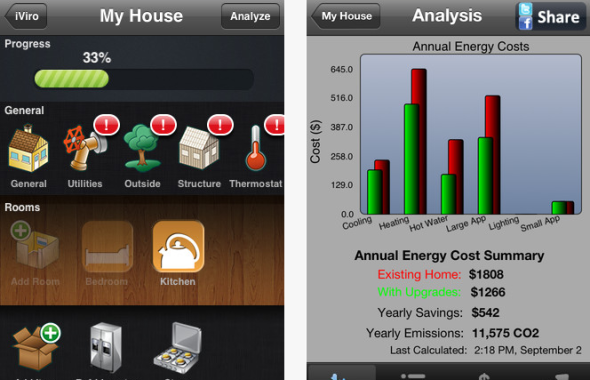 This free app is able to generate a comprehensive report of the daily usage of the total energy from the facilities and appliances that you and your family depend on. Furthermore, one can proactively maximise the productive usage of energy in their home (while progressively reducing costs too) by utilising iViro’s various awesome alternate suggestions and tips included. 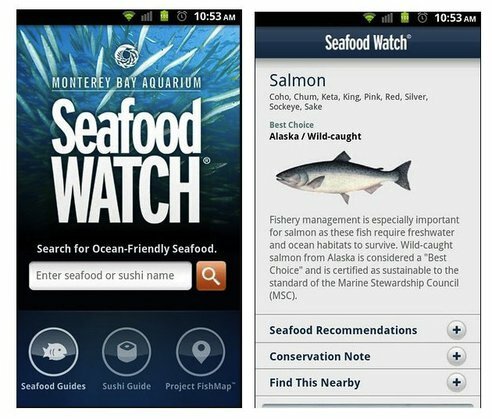 If you’re a self-aware seafood enthusiast, you should most definitely check out the free interactive Seafood Watch app, created by the sea-loving folks over at the Monterey Bay Aquarium. The app directly serves up information about how every seafood item listed are harvested today, and an alternative view of how it should, in fact, be rightly harvested (in the line of sustainability) if society’s current certain seafood harvesting ways are questionable. Most fittingly, the app is even able to recommend sustainable dining places and markets (mostly in the United States). The highly hospitable habit of recycling and being consumption-friendly to our Mother Earth can be seeped consciously unconscious into your regular schedule. The simply named iRecycle app is able to provide the user access to 2 things: How to recycle any thing imaginable, and Where to complete the recycling process of certain items which require recycling firms to step in. 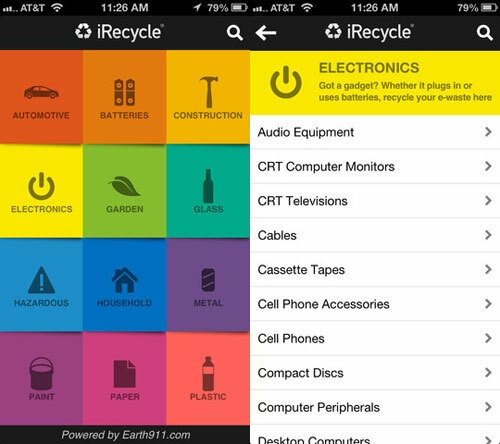 The app includes a database of 1.6 million ways to recycle more than 300 materials (yes, you read that right), including tricky non-biodegradable items like electronics and unwanted household chemicals. 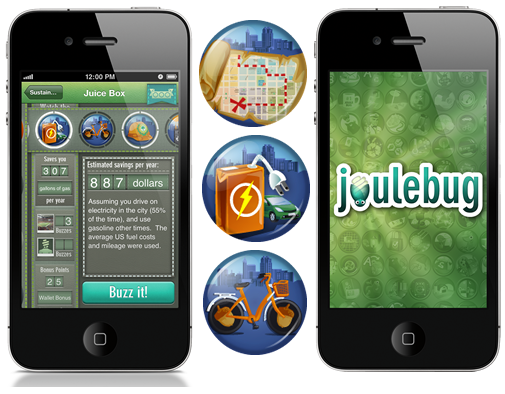 To submerge yourself into the vast ocean of choices for eco-friendly attitudes and actions, the JouleBug app is able to make thing fun and games-y by ‘awarding’ its users virtual points and badges, even gamely generating a leaderboard. Coming packed with a store of hundreds types of real-world achievements for users to unlock, be warned that you might never view our world though the same dull, cloudy lens again. The app is able to customise action plans unique to each user’s needs and situations. This app, with its first intention of creating a very games-on feel for its users, combines real world data (of actions) with a competitive kind of gaming interface among loved ones. 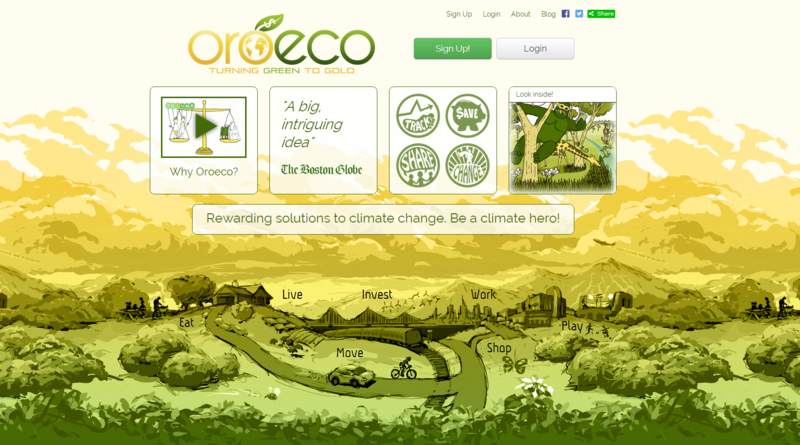 Oroeco’s design team proudly declares their app as a “dashboard for life” which reflects their commitment to developing an intrinsic yet tangible service for use by everyone. With UC Berkeley on-board, the Oroeco app continuously picks up on data about what you do and buy, and the app then goes on to display the environmental effects of your choices. 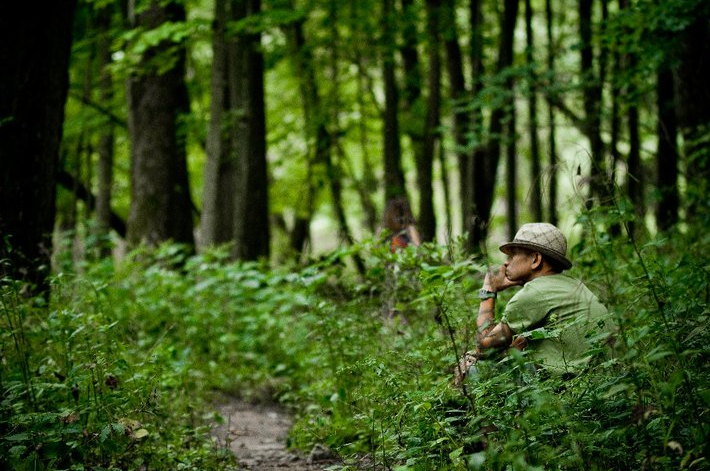 If you’re a true blue eco-warrior, you’d inevitably get fired-up by ongoing environmental causes. 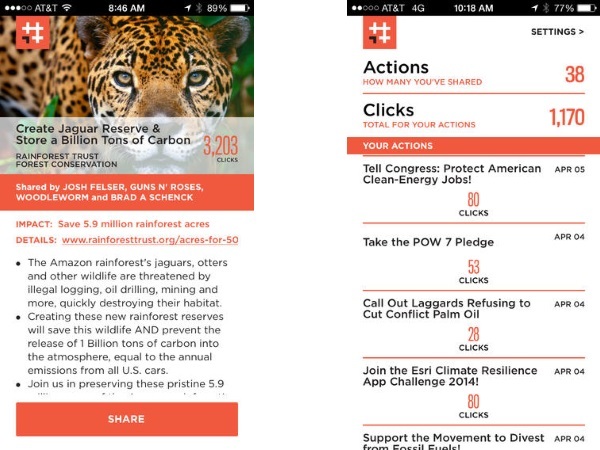 Keep abreast of campaigns in your neck of the woods with the app #climate, which collates information of campaigns and activities, from prominent organisations that have already proven to be able to set off sizeable momentum and mobilise real change.